Has the LDS church ever ex-purged its historical record and supplanted a more benign version? Love your column … Thanks. I have been challenged lately by persons who claim the early stages of church history have been manipulated to purge some negative things about the church and the prophet Joseph Smith. They say the early publications of church history are not the same as later copies. I have no knowledge of any of this and therefore I hope you can answer this question for me. Thank you. The 7 volume History of the Church of Jesus Christ of Latter-day Saints has been lambasted by critics attempting to convince others that the Church is a public relations machine whose propaganda cannot be trusted. The work was completed as scholarship standards shifted. Now it is viewed under this new perspective and judged harshly. 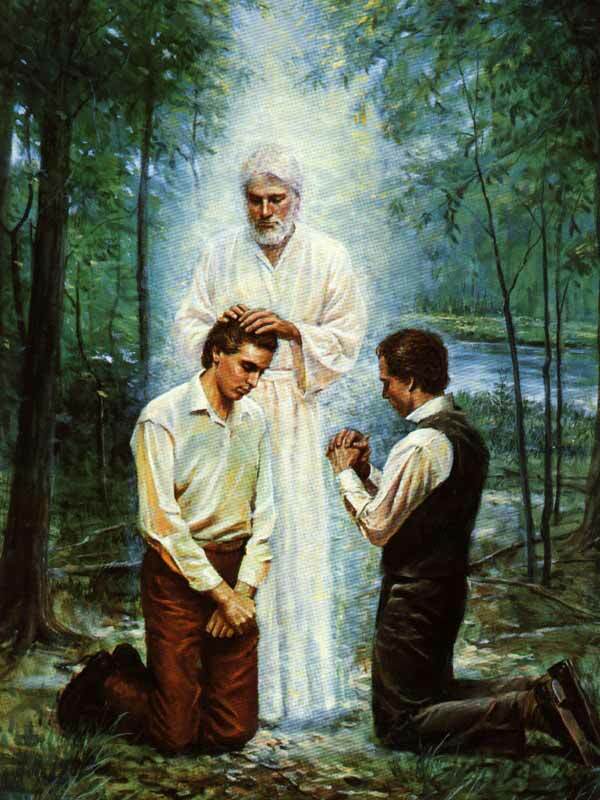 The origins of The History of the Church and its modern failings are captured in The Teachings of the Presidents of the Church: Joseph Smith. The appendix describes the sources of the manual and has a blurb specifically on The History of the Church. In 1830, Joseph Smith received a revelation telling him to see to it that the Church kept records (D&C 21:1). Joseph would fulfill this charge by calling secretaries and scribes to sometimes write his dictations and at other times to follow him and record his activities. In 1838 he felt “induced” to use these records to create an official history to counter the rumors echoing his name. Joseph saw to it that this history was published in serial form in the saints’ local paper (in 1842). In 1844, after the history had been published up to 1838, Joseph was killed in Carthage jail with 6 years of history remaining. 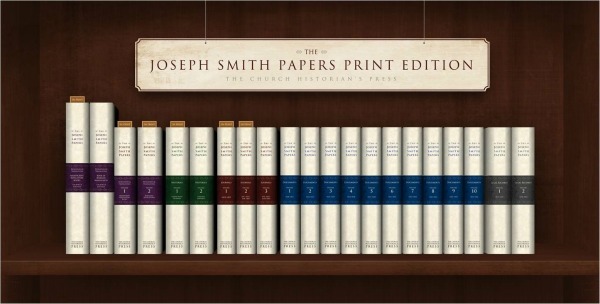 Church leaders and members wanted to finish Joseph’s history so George A. Smith (the Church historian, and with the assistance of others) collected the journals and records that were kept, as well as any correspondence with Joseph Smith that he could get his hands on, and painstakingly compiled the history. This work was finished about a decade later, portions of which were again published in the saints’ paper. 50 years later, B.H. Roberts edited the history and published it in 6 volumes, tacking on a 7th to capture the aftermath of the martyrdom and the sustaining of Brigham Young as the President of the Church with the reorganization of the First Presidency. 1. Combining accounts. Where the compilers and editors had multiple accounts of the same sermon, they would merge them together to create a seamless sermon. This improved the narrative but has the failing of losing historical (documentary) accuracy. 2. Changing accounts from third person to first person. George A. Smith and others built Joseph Smith’s history from entries kept by his secretaries. These included dictations and the notes of attentive observers. Using the first person (as though Joseph himself was writing) preserved the narrative flow and kept it consistent with the previously published history. The failing here is that it presented the voice of observers as Joseph’s own voice, so his personality (as reflected in his dictations) was diluted. 3a. Filling in sparse details on a sermon or event. When George A. Smith and other early Church leaders came across a short entry where they had been in attendance, they would flesh out the details based on their own memory. 3b. Painting a favorable image in light of national hostilities. Smith worked on the history from the period of the Nauvoo exodus to the tensions leading to the Utah War. Roberts published his history in a post-manifesto Church that was gearing up for the Reed Smoot hearings. Thus portions were omitted that they felt showed the prophet behaving in a less than apostolic manner. Additionally, Roberts reviewed George A. Smith’s history and removed portions that he thought came from spurious sources. This had the failing that the reader was not getting the full picture of events as they happened, and later material was commingled with earlier material. This also meant that someone could look at the serial George A. Smith published in Utah and the volume Roberts published and cry foul. Dean C. Jessee looks at The History of the Church as a product of its time. 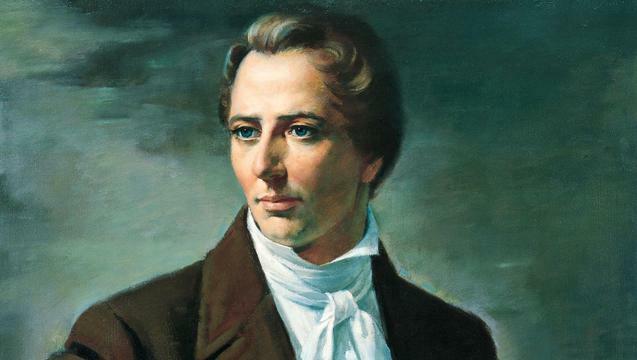 He notes, “If Joseph Smith’s History does not measure up to present day demands of accuracy, it is only typical of much nineteenth century American historical writing…. [championed by] men like Herbert B. Adams of Johns Hopkins University and John W. Burgess of Columbia in the last quarter of the nineteenth century” (Journal of Mormon History. vol. 3. “The Reliability of Joseph Smith’s History“, pg. 24). Each of the failures listed above can be found in non-Mormon history of the late 18th and 19th centuries. 1. Combining accounts. See how Madison combines his account with others in 3a. “The significant point of Hockett’s study was that when Henry Gilpin edited and published the Madison manuscripts in 1840, all of the changes ‘were embodied with the original text and printed in uniform type without a suggestion that the whole was not in the original notes'” (26). 3. Adding or changing words or phrases. 3a. Filling in sparse details on a sermon or event. “Homer C. Hockett observed, ‘When the Journal, edited by Adams, was published [in 1840], more than thirty years after the Convention, Madison compared his notes with it and detected certain errors in it. At the same time he changed his notes in numerous places where it seemed to him that the Journal was correct and his notes wrong. In other words, he trusted his memory, after the lapse of a generation, as a safe judge between the two records where they differed'” (26). 3b. Painting a favorable image in light of national hostilities. “[W]hen Sidney Fisher examined histories of the American Revolution, from John Andrews’s four-volume work published in 1786 to the writings of John Fiske in 1891, he observed that writers had overdramatized events, thereby describing ‘a revolution that never happened and never could happen,’ a revolution in which all virtue was on one side, and all vice on the other” (24). “In 1837 [Jared] Sparks [‘the first great compiler of national records’] edited in twelve volumes the Writings of George Washington. When his work was later compared with original manuscripts, it was found that he had unhesitatingly (though not maliciously) rewritten portions of letters, deleted or altered offensive passages, changed irregularities of style and awkward modes of expression, and by overly magnifying honorable qualities of the nation’s first president produced a work that a later generation found to be not only inaccurate in its portrayal of Washington but unacceptable as a primary historical source” (24-25). In light of these examples, Jessee concludes, “it should not seem strange that nineteenth century Mormon history bears some of the same characteristics. Latter-day Saint history was not written in a vacuum completely detached from the general literary and historical climate of its time” (27). The good news is that we haven’t left The History of the Church to stand as the final word on Joseph’s life and work. The Joseph Smith Papers project has been filling the niche for historians looking to get as close to Joseph’s voice as possible. 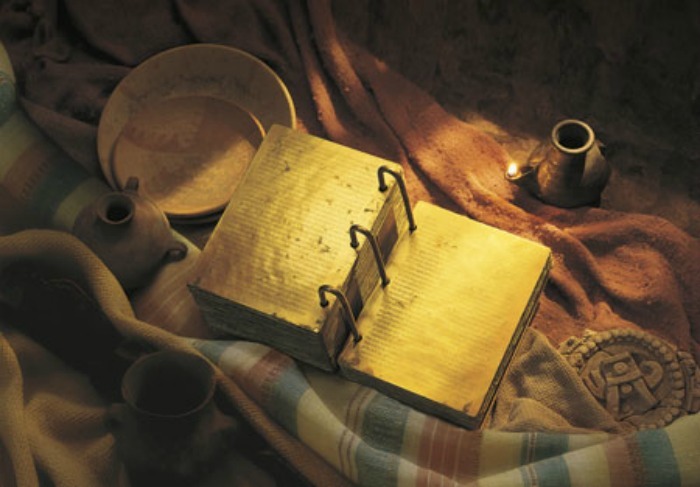 It has those few original documents which Joseph penned himself, and the many documents that he dictated. It includes the documents he commissioned his secretaries to author for his record. And it keeps these groups nicely separated, leaving it to the historian to act as editor and compiler. In describing experiences in the restoration of the gospel of Jesus Christ wasn’t Joseph Smith just repeating (with some embellishments) stories that his parents had told him? Was the Urim and Thummim taken from Joseph Smith when the 116 pages of Book of Mormon manuscript were lost by Martin Harris? Who is the prophet of the restoration? If Joseph Smith used a hat and a stone, why the need for the gold plates? Was the Urim and Thummim taken from Joseph Smith when the 116 pages of Book of Mormon manuscript were lost by Martin Harris? Who is the prophet of the restoration? If Joseph Smith used a hat and a stone, why the need for the gold plates?